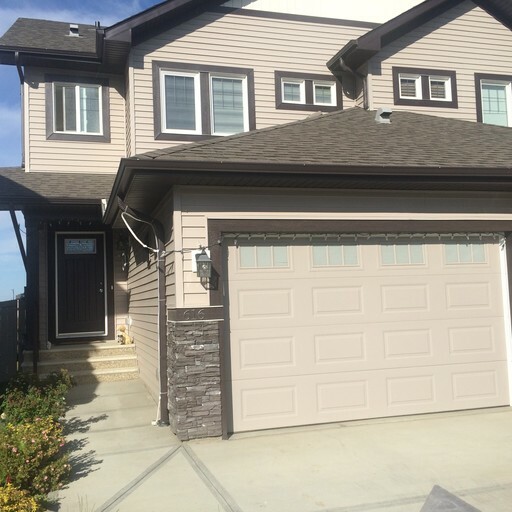 This two storey 1/2 duplex is located in the new SE neighbourhood of Maple Crest. On the corner of the Anthony Henday and Whitemud Drive. Built in 2015, this 1383 sq ft duplex is the perfect family home with 3 bedrooms and 2 1/2 baths! (including a Master Bedroom Ensuite) And there is a new playground across the alley! Bright, open kitchen has plenty of cupboard space and a breakfast bar island. The patio doors from the dining room open to a deck overlooking a gorgeous fenced yard! The unfinished basement is perfect for storage and with a double attached garage your car will stay safe during the winter months! Call today to book a viewing! 780.701.7400 Security Deposit Equal To One Months Rent.Minimum 6 Month Lease.